Former South African all-rounder Lance Klusener is in India as a coach of the Lyca Kovai Kings in the Tamil Nadu Premier League. Having a young team at his disposal, Klusener has done a fantastic job for the team, who have won 3 out of their four matches in the tournament. Their only loss came against Ruby Kanchi Warriors in the super over. He is best known for his fiery spell against India on his Test debut at Calcutta, in which he picked up 8 wickets, conceding just 64 runs in the second innings and took his team to victory. Since then, there was no turning back for Klusener. Nicknamed Zulu, he went on to become one of the best all-rounders for South Africa. The left-hander, who recently turned 45, scored 1906 runs in 49 Tests at an average of 32.86 and in the limited overs format, his records are outstanding. Having played 171 ODIs, he accumulated 3576 runs in 137 innings at an average of 41 and a strike-rate of 90, which was considered sensational during his time. His records with the ball are equally good as the right-arm medium pacer took 80 wickets in Tests, at an average of 37 and in ODIs, he scalped 192 wickets from 171 matches at an average of 29.95. Recently, he was appointed as the batting coach for Zimbabwe – a role that’s not new to him given his recent coaching stints with the South African side Dolphins. 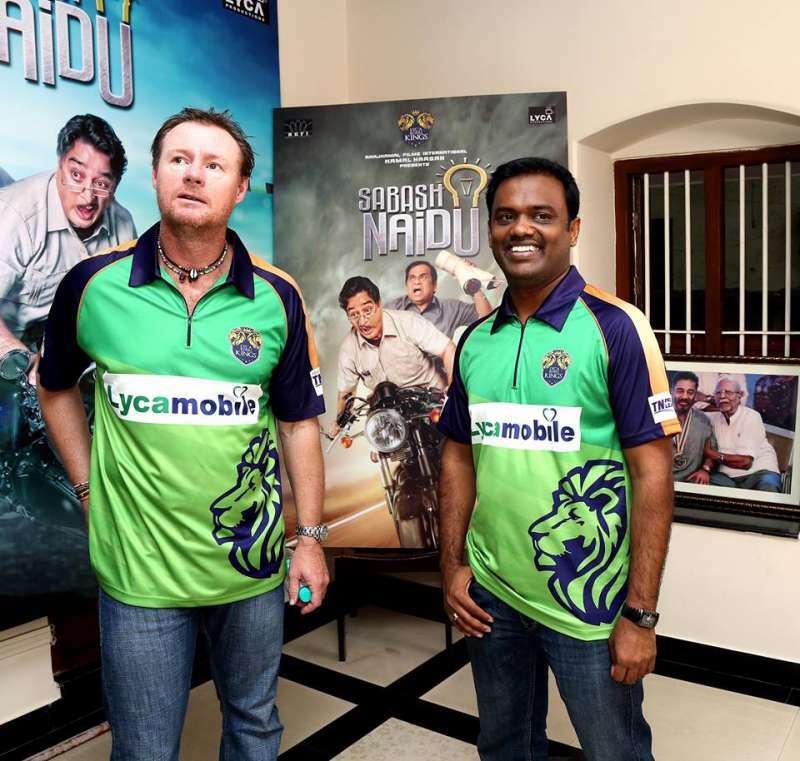 Amidst his busy schedule and training sessions with the Lyca Kovai Kings, Klusener took some time out to speact with Sportskeeda. Here are excerpts from the interview. Question: What were your first thoughts when you were approached to coach a team in the TNPL? I thought it was a good opportunity for myself and my career, but I also thought that it was a good chance to work with promising youngsters, which I really enjoy. It’s just a whole combination of factors and yeah, I really like coming to India as well. Question: You have been here for a few days already. What have you made of the talent on display so far? The talent here is fantastic and there are a couple of guys who have caught the eye of the selectors and as well as the IPL side from this part of the country, Chennai Super Kings, who have been a force to be reckoned with. It’s an opportunity for them to recruit local talent. Question: As a coach, what would you look to tell a player who's got the talent, but is struggling for form? I think we should be careful with that player and expect him not to change too much. We got a guy in our team (Lyca Kovai Kings) who has been run-out, got out to a good catch and didn’t have much opportunity in another game. You need to be careful that you don’t get caught up by changing too much. Sometimes, you are playing well, but then you won’t be having the fortune that is needed. So it’s important to make sure that you analyse it correctly and sometimes, you have to be patient rather than making changes just for sake of making a change. Question: You have also been a part of the setup for Zimbabwe. What differences do you see in coaching a franchise side and an international side? International cricket is different from franchise-based cricket because there is enormous pressure when it comes to the International cricket, the pressure of having a whole nation depending on a team. Whereas in franchise-based cricket, we pick players from different regions and different communities. It might not be the same with TNPL, but franchise-based cricket as a whole. At the end of the day, I want the players to bond well and gel well together. Question: We have seen non-subcontinental teams struggle against spin in Asia. What, to you, are the important things to keep in mind while playing spin on turning pitches? Yeah, it is tough. Playing a quality spinner on a turning track is like playing a seamer on a seaming track. You need to sometimes make sure that you are not losing wickets regularly, especially in T20 cricket and set yourself for a phase in which the bowling team is forced to bowl full. It’s always important to have some sort of plan before going out to face the spinners in this kind of pitches. Question: What is your favourite moment as a cricketer? As a cricketer, there are a lot of instances, certainly my debut (against India at Calcutta in which he picked up 8-64) and the 1999 World Cup (Klusener was awarded the Player of the tournament). Question: Speaking about the 1999 World Cup, what were your thoughts when Allan Donald failed to complete the single in the semis? What went through your mind at that time? I felt I could have waited for a ball or two before going for a boundary, but there was an opportunity for a single. You can’t blame it on anyone. Maybe if I had got a chance to finish it off some other day, I would have done it with ease. Question: Lance Klusener the batsman or Lance Klusener the bowler: which one was better? I always saw me as an all-rounder who can equally do well with both bat and ball. If you want me to pick just one of these, I would pick whichever one that is doing well on that particular day (laughs). Question: At the moment, there are very good players like Virat Kohli, AB de Villiers, Mitchell Starc etc. Who is your favourite player in the current generation? Yeah, Kohli, AB, you absolutely nailed it right there. And yeah, I am a big MS Dhoni fan as well. Performing consistently for over 10 years is no joke. And moreover, he is doing the same job (finishing) which I used to do for my team back then.